R0152. 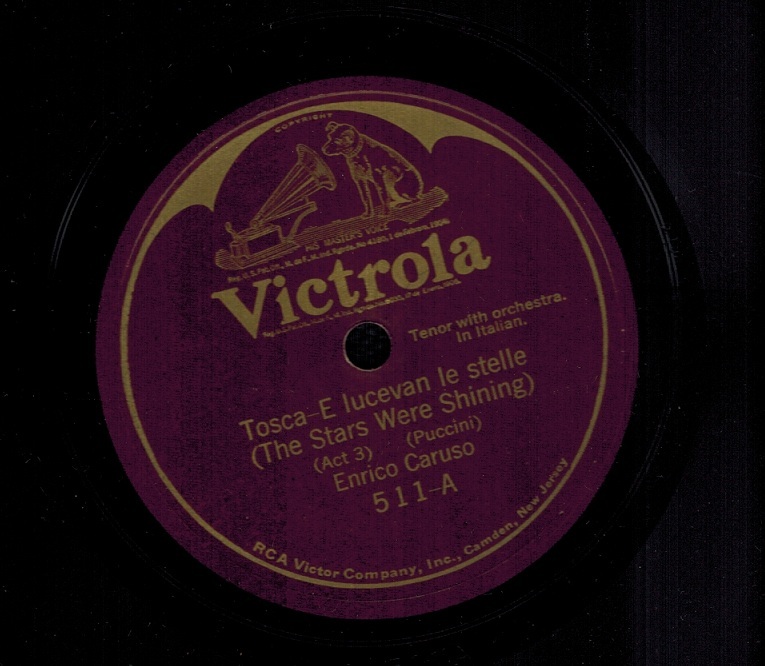 ENRICO CARUSO: TOSCA – E lucevan le stelle (this side a Pantograph pressing, as always) / Recondita armonia (Puccini). 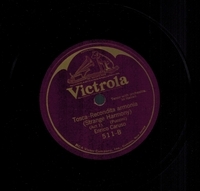 10” AC Vla 511, POM-6 Nov., 1909. 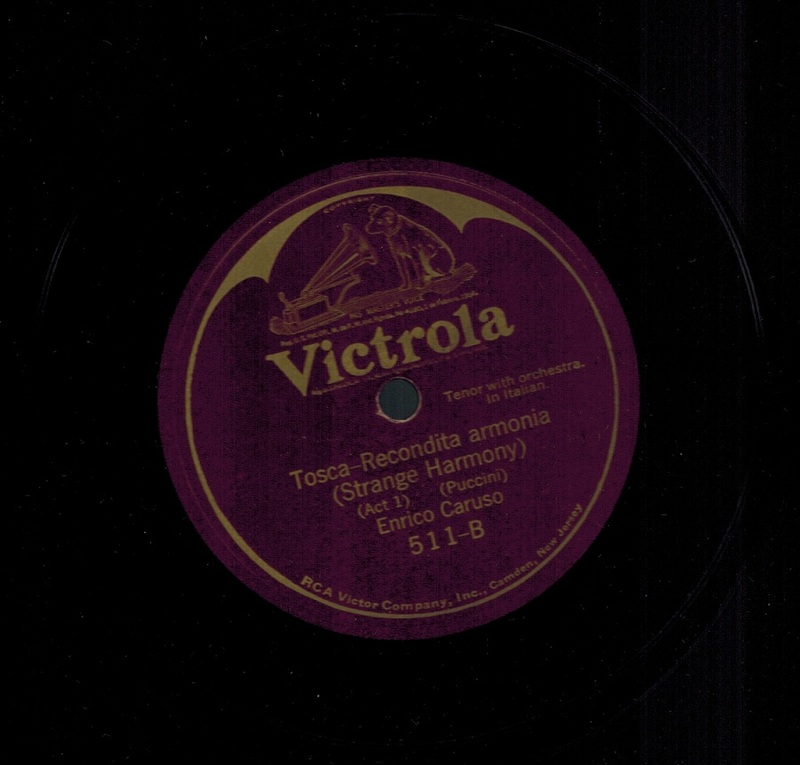 Spectacular mid-1930s pressing; Choice copy.